Let’s take a moment to talk about how exhausting holiday party season really is. Sure, it’s exciting to hit the town with your friends and co-workers, but all that celebrating can exhaust you and your wallet alike. Keep things simple, without sacrificing style—yes, it’s actually possible. Enter the holiday capsule wardrobe. Its a smart move that can take at least some of the holiday stress away to build a wardrobe you can mix and match all season long: a capsule of sorts. Armed with 10 festive but cool staples, you can wear the same pieces over and over, and no one will be the wiser. We’re offering up five ways to style our 10 must-haves now (though there are plenty of other outfit combinations to test out too). So save your extra cash for that extra glass of champagne, and make things just a little bit simpler by sticking to a capsule wardrobe that will help you survive the season in style. 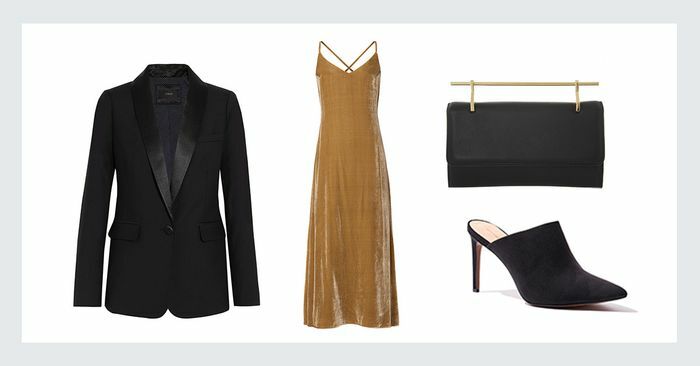 Check out five ways to wear the 10-piece holiday capsule below!